We custom sew premium covers for any fire pit or patio furniture. 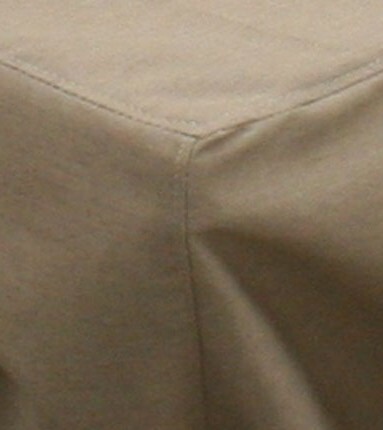 We recommend cloth covers as an accessory to many of our fire pit table customers. Covers keep your table protected and looking great, simple as that. Our COOKE Collection offers cloth covers available in many colors and materials, while our So Cal collection has Grey or Beige Cloth covers made from Sea Spray marine grade fabric. We can also sew matching custom covers for your patio furniture.